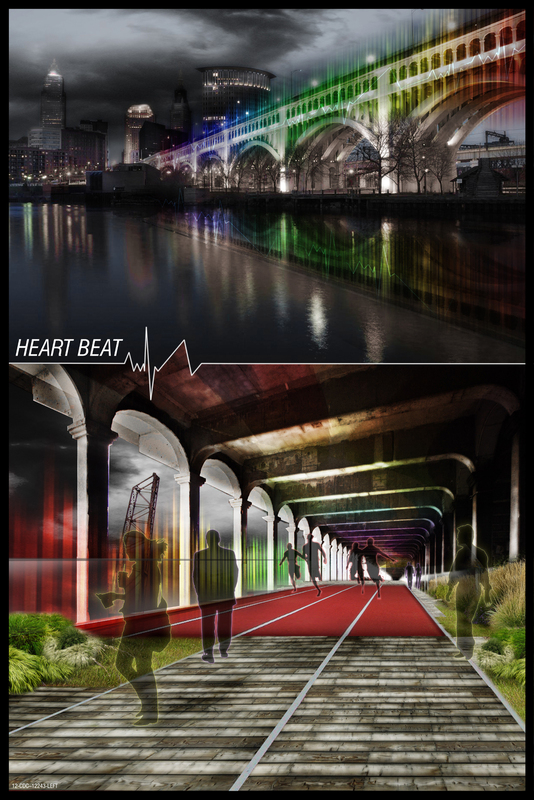 - The reconversion of the Cuyahoga industrial area announces a renewing in the city, and the Superior Bridge appears as the best opportunity to create the new CITY HEART ! 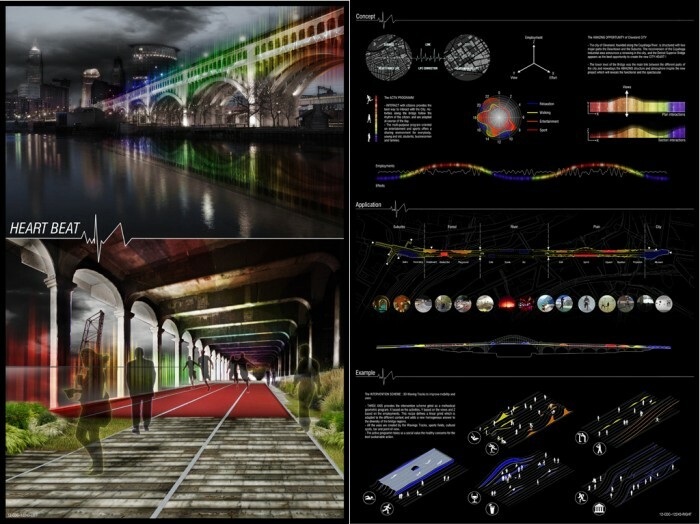 - The lower level of the Bridge was the main link between the different parts of the city and nowadays the AMAZING structure and atmosphere inspire the new project which will reveals the functional and the spectacular. 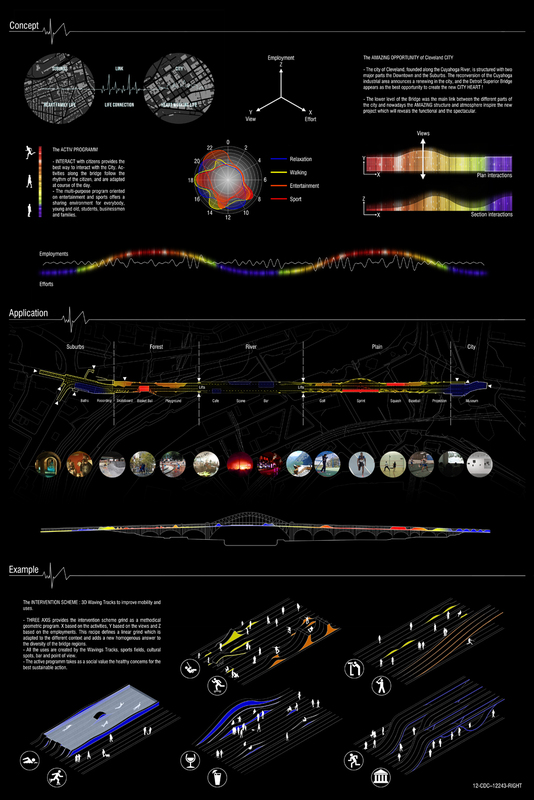 - INTERACT with citizens provides the best way to interact with the City. Activities along the bridge follow the rhythm of the citizen. - The multi-purpose program oriented on entertainment and sports offers a sharing environment for everybody. - THREE AXIS provides the intervention scheme grind as a methodical geometric program. X based on the activities, Y based on the views and Z based on the employments. This recipe defines a linear grind which is adapted to the context and adds a homogenous answer to the diversity of the bridge regions. - The uses are created by the Wavings Tracks , sports fields, cultural spots, bar and views. – The active programm takes as a social value the healthy concerns for the best sustainable action.